This limited edition offering brings a new look to the baits in our tackle boxes. No doubt about It, the bass haven’t seen this, or anything quite like it! This limited edition is a hotter version of the tried and true Muskegon Goby™ and St. Clair Goby NFT™ . It targets the bass DOWN DEEP…IN LOW LIGHT…OR ON AN AGGRESSIVE BITE! For the first time ever, Canadian Mist Lite™ is now available in a beefy 5″ tube! This version of Canadian Mist has been surging in popularity and the 5″ design is available to you today! 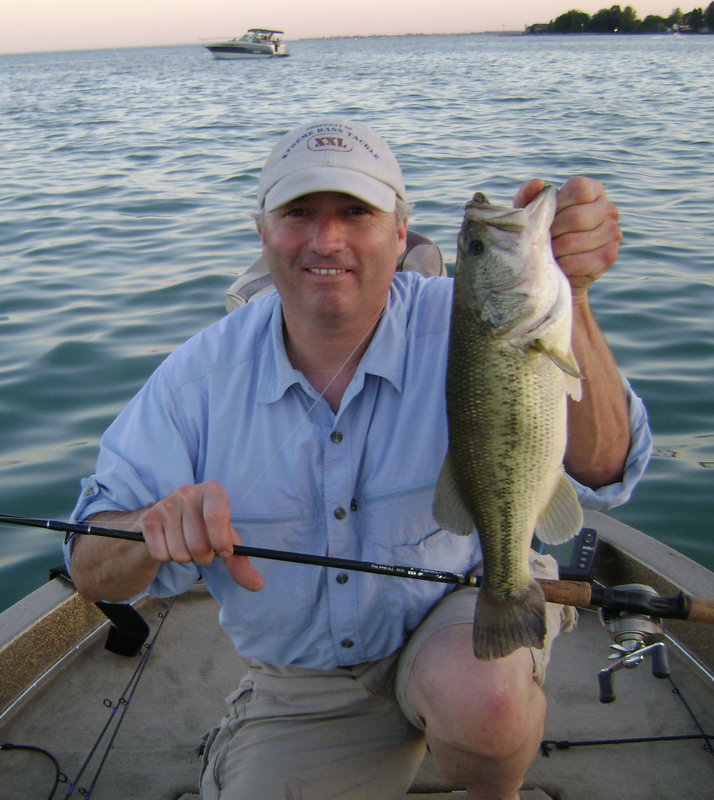 Best month for up to 100 bass days is May! 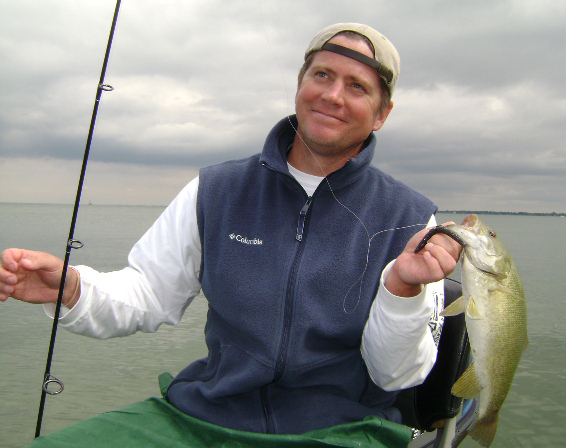 Looking to learn more about bass fishing on Lake St. Clair? 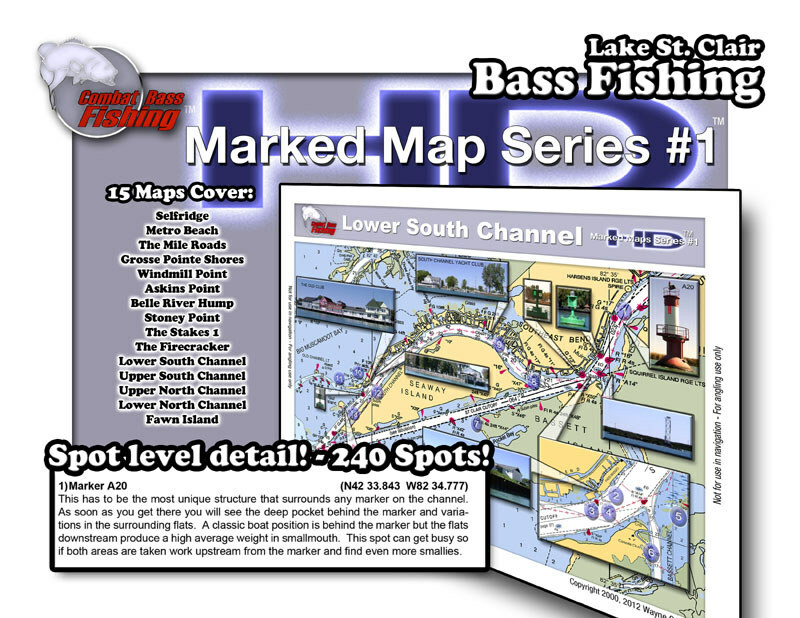 Try the new Marked Maps HD Chart Book! 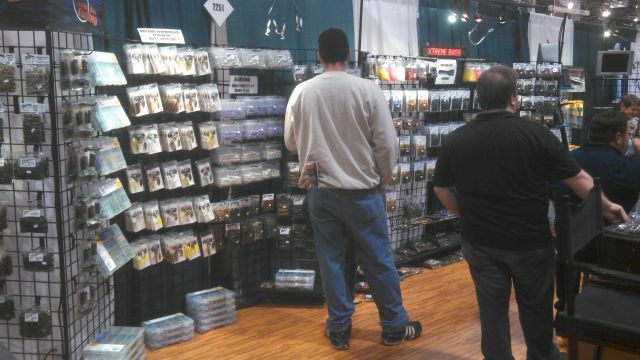 In a recent trip with professional angler, Bob (Jigger) Mann we got talking about windshields for my Champion. Right away he said, “Give C&O Marine a call, they should be able to take care of you.” After our trip out on Lake St. Clair I did just that. First off, I don’t have just any Champion but a 1984 model. If you’ve ever seen the original windshields that come with that model year they have that ’84 look to them with a straight up design and very tall. Since I wanted these by the holiday weekend it was pretty clear to me that I would have to settle for just that. I called C&O and Carol answered the phone. We discussed my options and she pointed me to their website which was complete with the specs for the various type of windshields available. She also went over the measurements from my consoles which were sent via email. With some help from her and Christina we were able to put together the best choice from their many selections. 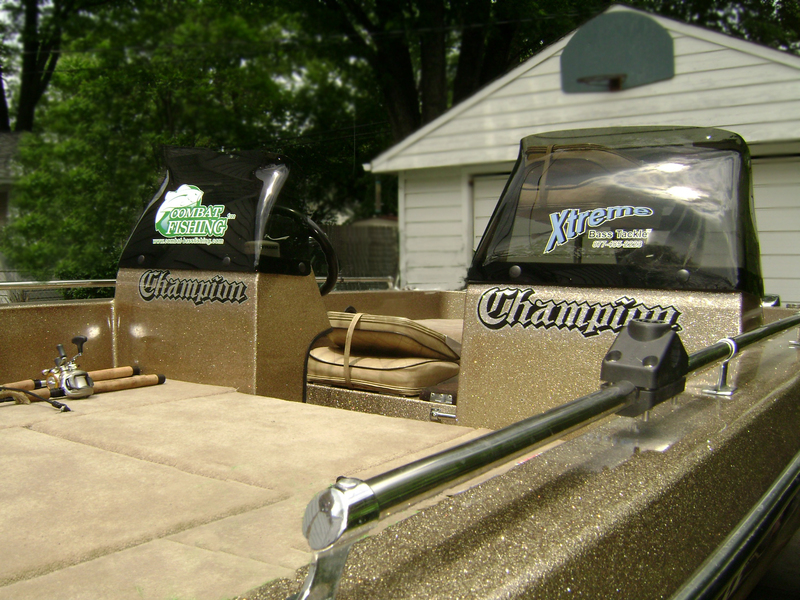 It turned out that the windshield that fit best was one for Champion boats ’94 and under. When the box arrived on the Friday before the holiday it was like Christmas morning. To avoid the unstable weather forecast for Monday, Linda and I decided to set sail for the big lake on Sunday afternoon instead. Getting out on Lake St. Clair on a beautiful day when the fish are biting is something to look forward to and this day was no exception. Along the way we stopped off at “Jimmy’s” tackle shop to get a license for her and to pick up some terminal tackle. Memories of a long line of boats lined up outside of the launch waiting to get in (at Harley Ensign) were playing in my head until we pulled up to the entrance and saw that plenty of empty spots were available. It can be a struggle to negotiate the launch area at that point in the afternoon but we were able to get the boat in the water right away. So far, so good. On our first spot I rigged up a 4″ St. Clair Crayfish tube for Linda and we began a slow drift as the winds pushed us toward shore. 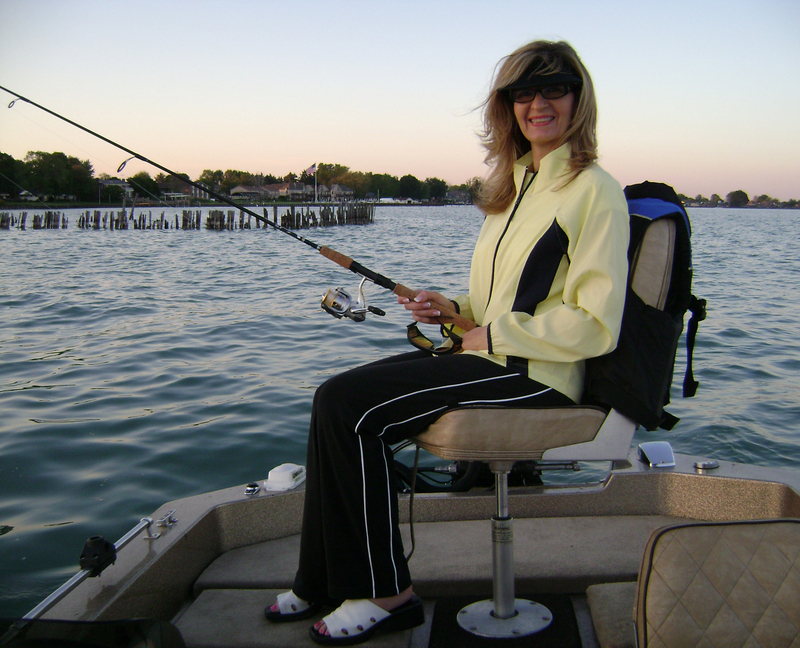 Linda picked up the mechanics of casting and retrieving an open faced spincasting outfit quickly even though this type of fishing was a new experience for her. The sparse weed on the flat did present a challenge though. Right away she was talking about the difference between the bait grabbing the weeds (a stalk of cabbage) or a bass grabbing the bait. It turned out to be a moot point though since she boated her first five bass without incident. The first bass was a largemouth which was fun but there was another species lurking out there which would put her new skills to the test: smallmouth bass. She didn’t have to wait long until the smallie took the bait. It was clear something was different but what? The excitement of managing the bass began to sink in as the smallmouth broke the surface then continued to pull away from her. “It’s heavy,” she said with a raised voice while the pole bent closer to the water. She kept the rod tip high and kept the thrashing bass hooked long enough so that we could get a net on it. 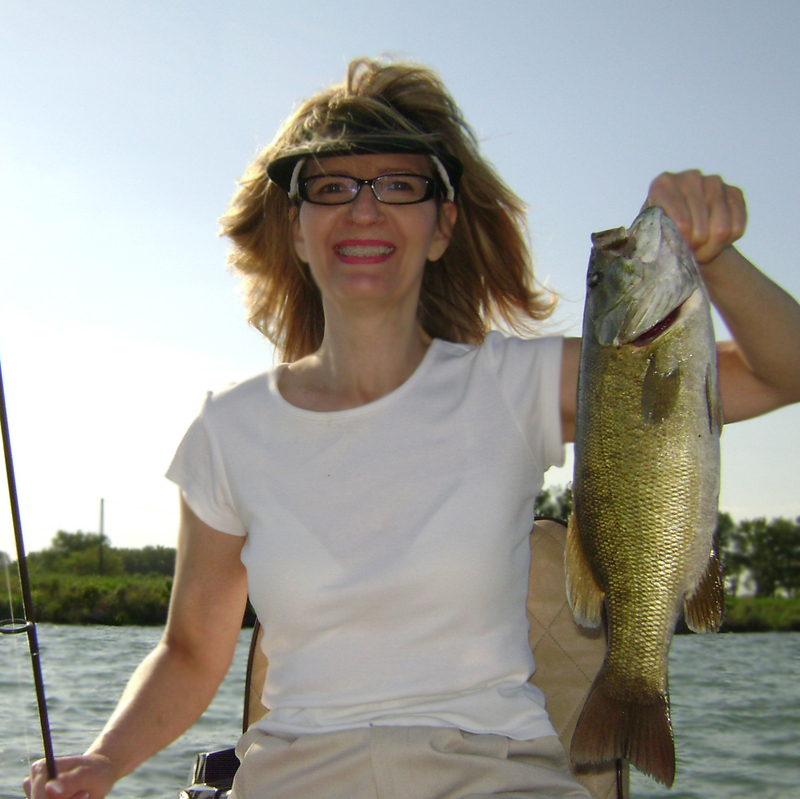 That’s the smallmouth in the photo: Linda’s first smallmouth bass May 30, 2010. It wasn’t her last one either as we stayed awhile longer to work the spot. A second spot brought on more action but the rock bass had taken over. 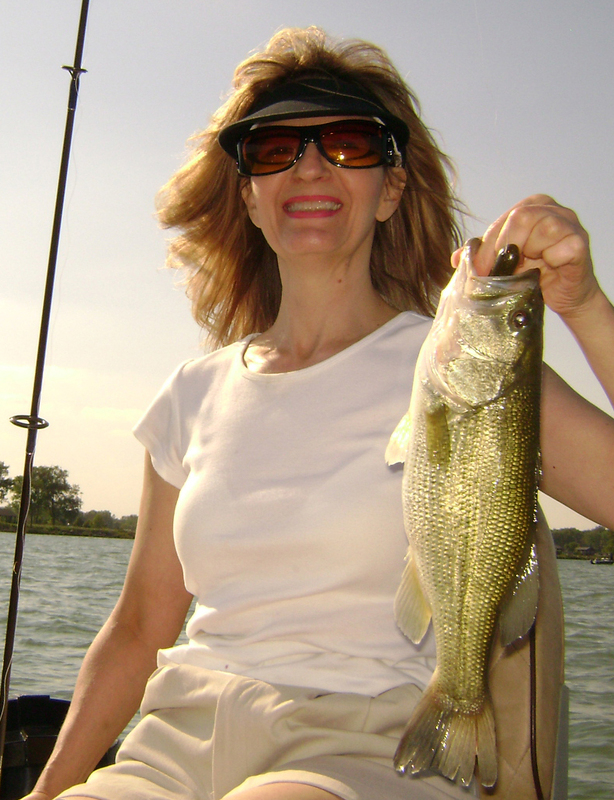 As we were about to pick up and leave Linda puts the St. Clair Crayfish tube to work once again and connects with a largemouth which led to another largemouth and so forth. It would be nice to finish the evening out at one more spot so off we went. This was a deeper flat with sparse weed with bigger largemouth yet. The wind was dying down, the boat traffic was thinning out and the beautiful day was turning into a perfect evening. Right away I hooked up with our best largemouth of the day which took a 4″ Mayfly™ tube with a rattle jig. It took some time but Linda finally relented and gave up on the St. Clair Crayfish™ tube as Mayfly™ continued to put bass in the boat on back-to-back casts. It was a great ending to a very good day on Lake St. Clair. Not unlike ocean fishing, anglers who visit Lake St. Clair can expect the unexpected after a hookset. The next cast can bring in something you might not have heard of before or be a fish of a lifetime. One of the most exciting experiences and one that is not uncommon happens when a musky dials in on the bass we are bringing back to the boat and takes it away from us. 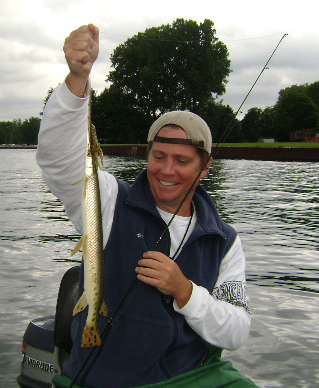 Many a story have been told about musky encounters such as this. Sometimes the angler gets the bass back with teethmarks, occasionally they get half the bass back then at other times everything is taken away: the bass, the bait and the musky have become a memory. There are times though when we get our revenge and have an awesome photo to show for it like Neil Heisler does. are hooking bass then as the light levels fall, the next thing you know aggressive walleye have moved into the spot. The most productive walleye week ever for me was when I was throwing my signature purple spinnerbait at the Firecracker marker. In a few days I had caught five walleyes with that spinnerbait and have not reproduced those results since. 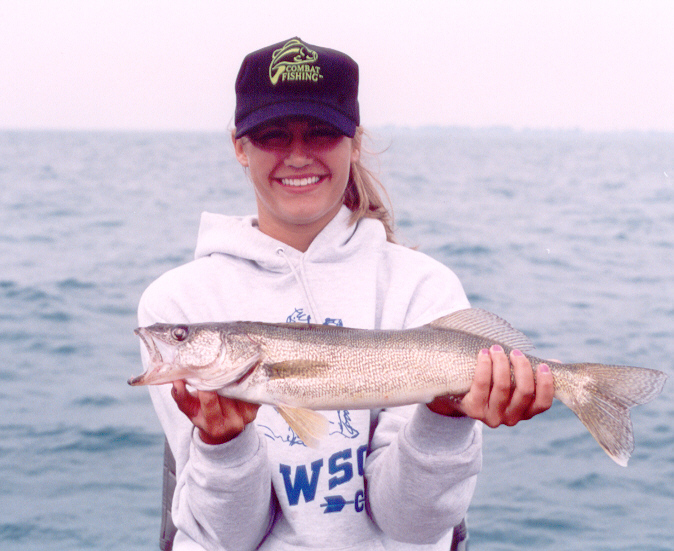 Walleyes showed up on a trip to Strawberry Ridge too in 2003 and my daughter Alison picked this one out of a school of bass. Then there are the dreaded drum (sheepshead). Catching any fish is both fun and relaxing for me and drum are no exception. The only regret comes after I realize that the massive pull at the end of my line isn’t a state record smallmouth. 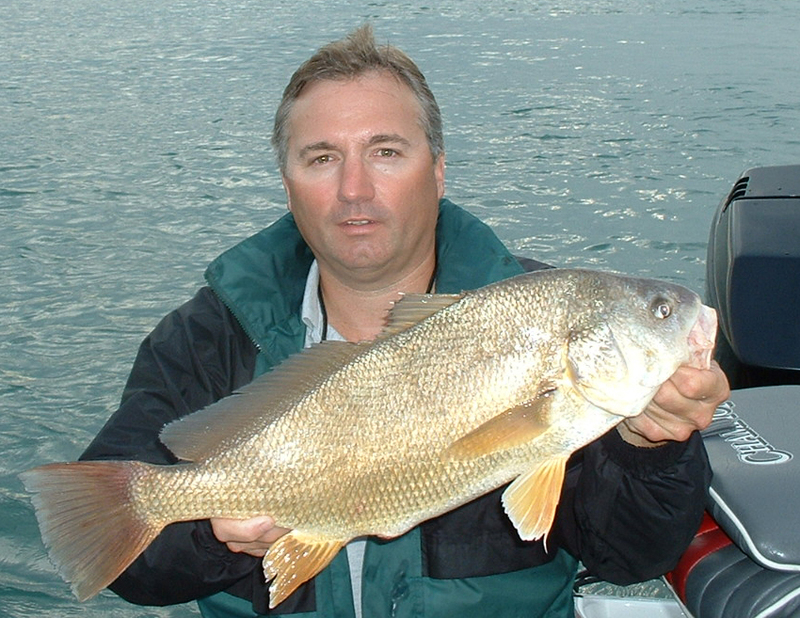 This drum was taken in the North Channel of the St. Clair River. Our day started with a few smallies at nearby rock pile . This shallow shoal is composed of mostly small, smooth boulders sitting isolated with nothing but sand anywhere near it. It was clear the bass weren’t going to be big here but the bite got us off to a good start. Isolated structure looked like it would rule the day so we took a trot out a wreck that is composed mostly of wood and sits in 7 feet of water with nothing but sand in every direction. Other than a small hit, nothing else was keeping us there so we moved on to a strong seasonal hot spot. We worked a flat with subtle weedlines and isolated weedbeds that fishes strong in the summer months. 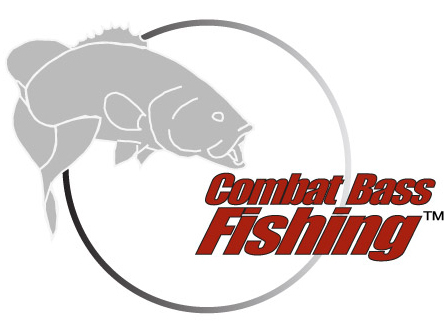 A light current flows over this bass attracting structure that can hold some of the biggest near-shore smallies you’ll find. In spite of the easy spot access to each angler on the boat I was only able to put together one average smallmouth which told us it was time to move on. While Matt and I probed the shallows and mid-ranges of a sandy point it was here where Dave began to make his run. The action wasn’t fast but maybe Dave was on to something with one quality smallmouth. Our next stop was likely to be productive as we pulled up to a deep rock shoal pattern. This structure is generally consistent and reliable but it was just not meant to be on this trip. The patterns were thin so it looked like a good time for a big change of structure. The big change took us into strong currents in over 20 feet of water. A good amount of weight was needed to get control of the presentation. While Matt and I jigged Dave was set up with a 3-way rig and caught the biggest bass of the day up to that point. The cool part is that this fish was the first one caught by an adjustment in structure and technique so things were looking up. Still, getting these fish was too much like work. I wondered out loud if largemouth would be something worth chasing because there was a pretty lucrative spot nearby. 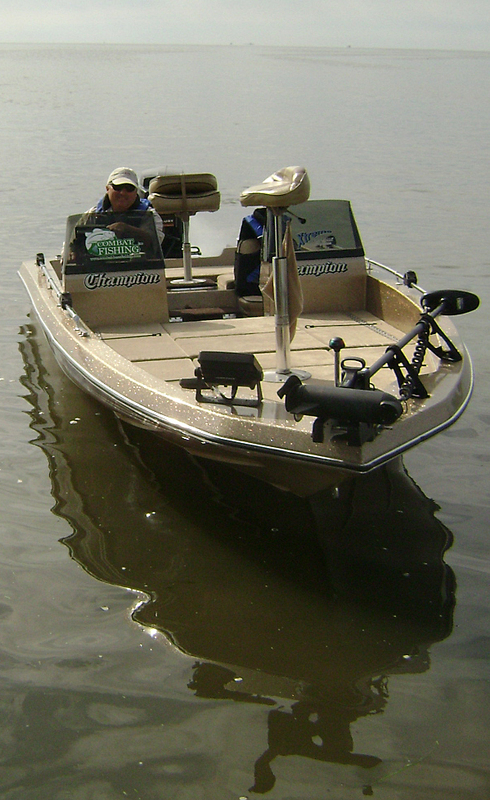 There was mild agreement on board so it was off to see about loading up on largemouth and we set out in that direction. Working toward this spot we happened to find some surfacing fish so now perhaps, we were going to see some fast action. It was action we got as Dave connected with a surfacing fish alright, a gar pike. Now this just doesn’t happen everyday. 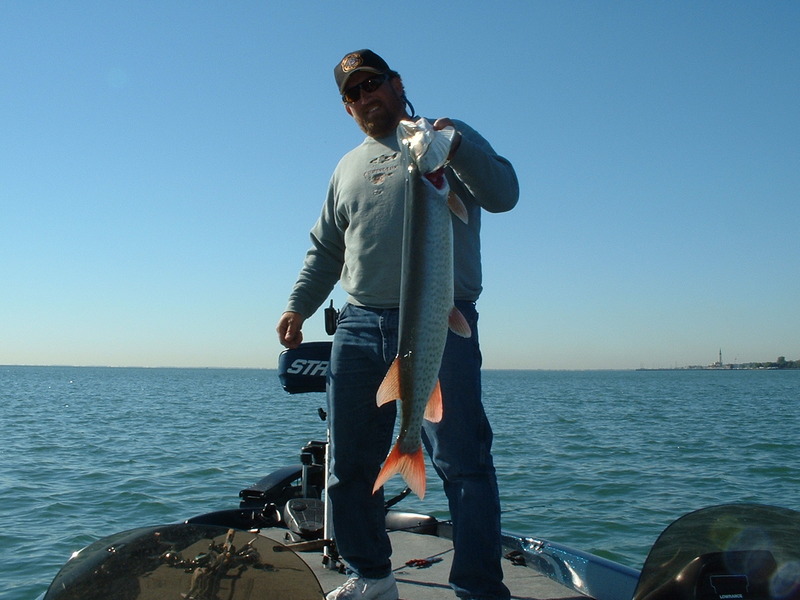 Gar will chase, gar will bite but hooking a gar is a completely different matter. The best part of all was that the gar wound it’s nose up on Dave’s line and it wasn’t going anywhere but into the boat to get untangled. Since bass were our target we trudged on but not before Dave accomplished something that has been tried by many, but rarely done. It was time to head for largemouth territory and get a new presentation into the hands of our on-board phenom: the wacky rig. It wasn’t long before Dave made a cast by a boulder on the shallow flat and pulled up a better smallie yet. Really now, this story is getting old and it’s time for a change. The largemouth we were chasing love this flat and love buzzbaits but they were striking short. Pretty soon though Matt lights one up on a spinnerbait and that’s when years of training and experience kicked in, and kicked in big time. 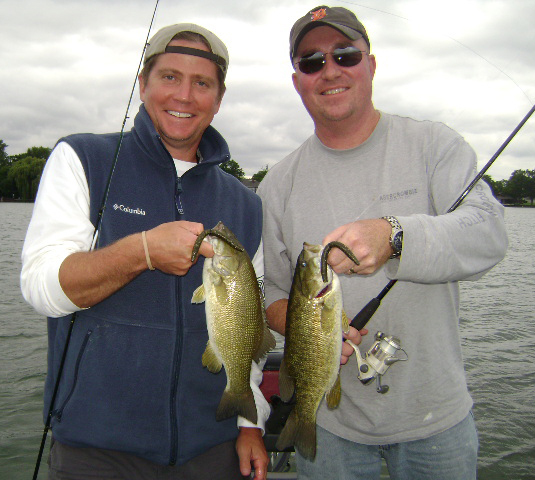 We began to see bass and catch them regularly then Matt, who was clearly on a different frequency than Dave or I started lighting up the smallmouth in just over 18” of water. I had no sooner said, “We should go over a shallow zone and then start getting into them” when Matt proved that idea was not entirely on track by hitting it big in the shallows. Sure, Dave and I did OK but Matt had the hot hand. It was clear it was Matt’s time but he even went us one better and pulled out a bubble gum tube. This color is well known for bed fishing and for floating worms in the spring but since he was already beating the averages, why not try? Matt immediately hooked up again and the rest is history. 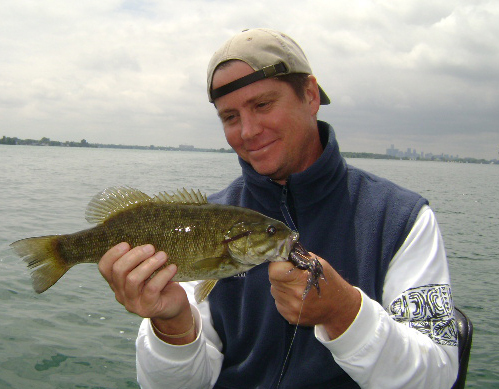 The potential to get out on Lake St. Clair and wallop on one monster smallie after another is always there. 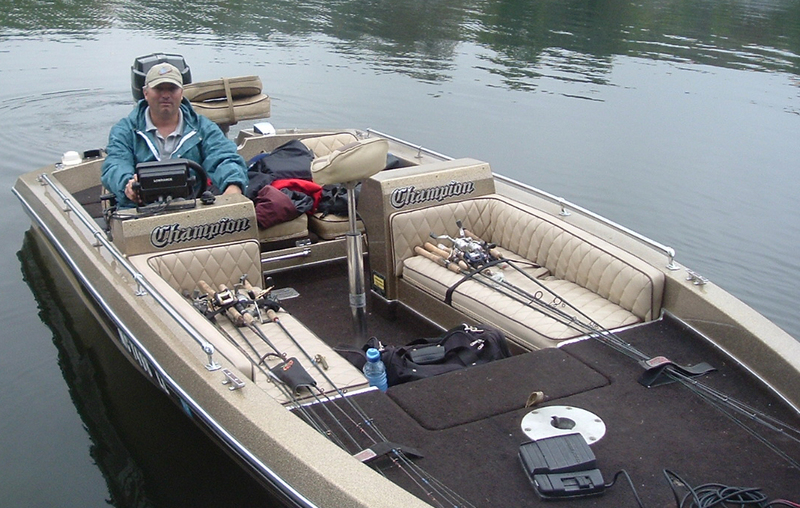 It’s those tough days that call on anglers to put their finest skills to the test. This was one of those days where a blue collar effort prevailed and the reward was a fast bite on a shallow flat at the end of the day that will always be remembered. A special thanks to our water warriors Matt & Dave for permission to share this article.